Benny is a successful performer, producer, composer, arranger and bandleader. His playing styles include jazz, Latin, and world music. 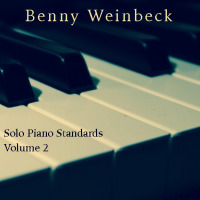 Weinbeck has produced several albums of original compositions and one of solo piano jazz standards. Benny has been performing since 1980 in venues around the world. His travels around the globe have taken him on many adventures as well as unforgettable musical experiences.